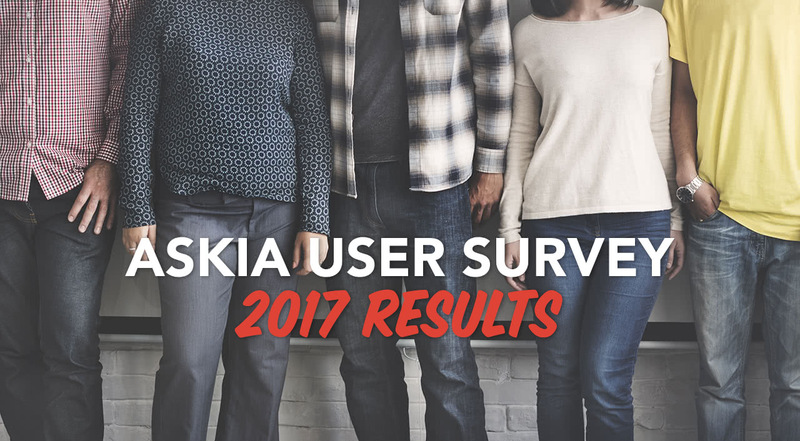 The 2017 edition of our popular Askia User Survey was mailed out this past spring. We received a record number of replies this year and once again, we were humbled by the tremendous amount of constructive feedback. Whether it was an appreciative nod to one of our teams, a smart suggestion for improvement, or an insightful story about your personal Askia experience: all your responses are incredibly valuable to us and help us bring the best out of our software. If you took part in the survey, we’d like to say again how thankful we are for your time. We told you in the introductory video that we would read all of the comments – and we did. There were a lot of them. You sometimes made us laugh. We also sometimes blushed with pride, other times with scorn. Jérôme Sopoçko has personally replied to quite a few users already and whilst he’s still working on it, we thought now may be a good time to share the best bits of our analysis with you all, together with some cool infographics. Well we have good news for you: it’s already in place in version 5.4.4! And this is how to do it . We also recommend that you read Jerome’s blog post which is full of valuable information on this topic. We have a solution and it’s called Platform One: Askia and Platform One have created together a platform for panel and community management. Platform one is fully preattuned to the Askia survey software so you are guaranteed seamless integration and seamless service. Here again, we have a solution: the ADPs enable you to define exactly what code is generated, in the manner of a master page (php or asp). The ADPs are available in version 5.4.6. The solution is our upcoming revolutionary dashboard developed in partnership with E-Tabs. Read the press release here and stay tuned for more details. These are the topics that stood out from your comments. Now let’s look at the rest of the survey results. But before, I have to take my hat off to Seyf who put together the very comprehensive analysis that follows: thank you! We asked you what you like about our products and a number of themes emerged. To begin with, you praise the fact that our software is powerful and offers endless possibilities, yet remains very easy to use: Right combination of complexity (i.e. high function) and usability. The general speed of all the products is often mentioned, as is the overall look and design of the products. You also like that it’s all in one, and that it covers most of the Market Research needs across all data collection methods. The range and integration of our products get your approval: you can use the same file format from survey design, to multiple collection methods, to data analysis. Finally, you give top marks to the flexibility and versatility of the software including the extensibility of products such as Design and Vista. Many of you rave about our Support team, even though technically they’re not a product; in particular, their knowledge of the software and their response speed get the thumbs up. What do you like most about our products? > Dear Askia user, we’re keen to see pictures of your favourite software making a cuppa! No software is perfect, and so we welcome your constructive feedback about the things you do not like. Mostly, you find that some elements are not 100% intuitive, making some tasks unnecessarily complicated or time-consuming. You would like to see more documentation, including guides for beginners – and our French users ask for documentation in their mother-tongue. All points duly noted by our team, and we hope that you’ll soon notice significant improvement on them all! … and what do you dislike most about our products? What percentage of our askia design development time should we spend on these possible features? There were still a large number of respondents who, without prompting, mentioned an improvement on screens is required. It is too difficult to achieve their requirements. There is a huge appetite for a screen editor that would be more WYSIWYG (what you see is what you get). What percentage of our askia voice development time should we spend on these possible features? Unprompted requests for SMS surveys saw a number of mentions as did speech to text technology, agent and interview evaluations and more variety/flexibility in the reports offered. Finally, clients consistently wanted dev time to be invested in maximising stability, including better diagnostics, tools and measures to prevent the causes of downtime. What percentage of our askia analyse development time should we spend on these possible features? 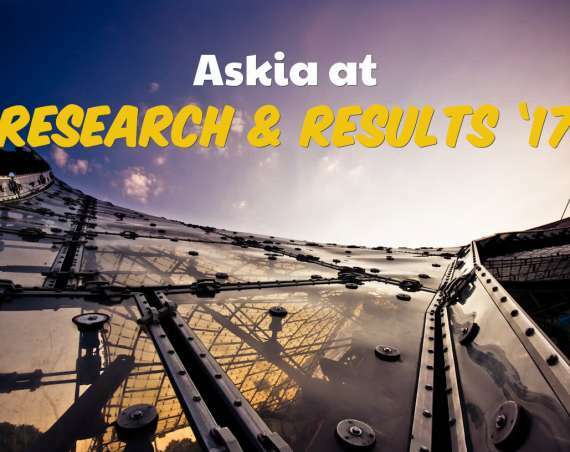 Apart from the above areas, you would very much like to see the speed and stability for large volume or complicated data sets improve in both askiaanalyse and askiavista. Intellisence in all analyse script windows*, more find options* and askiavista 6 admin mode all saw mentions as well as more progress bars in both apps when running lengthy tasks. What percentage of our askia web development time should we spend on these possible features? You would like to see easier jumping in their surveys to aid testing. A parallax or single page view of any survey would be welcomed as would the ability to upload and reuse media in a web survey. Online focus groups/panels and the usual request of reopening links which are screened or quota failed saw mentions. What percentage of our askia face development time should we spend on these possible features? The most consistent theme was reducing the number of crashes in the app. 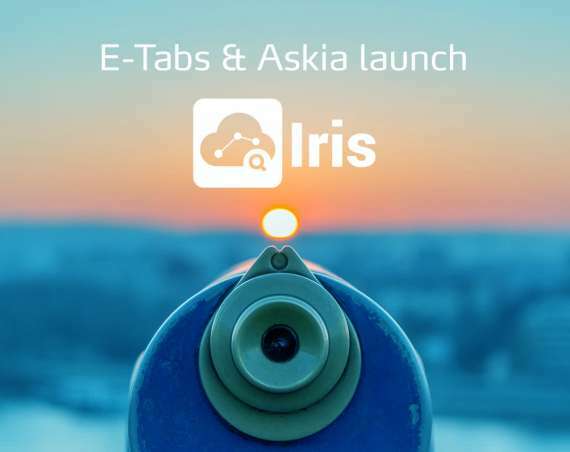 Askia Users also asked for: web reporting for all supervisor functionality and perhaps dashboarding capabilities for this, connection to panel management systems and media (video / picture / audio file) coding. Easier to navigate documentation, blogs, articles and of course as much of them in French as in English! When askia users were asked to compare askia support to other technical support service providers, we rated higher in 2015 and higher still in 2017! Your feedback is very important to us, so please do not hesitate to send your comments, questions or why not, suggestions for next year’s survey! You can take a closer look at the results in Vista by clicking here. If you’ve read our entire analysis: wow, we’re impressed! But perhaps you’ve just picked the information you needed then skipped directly to the conclusion. Either way, we cannot say it enough: we are extremely grateful for the time you spent on our behalf, first sharing your thoughts and comments in the User Survey, then reading our answers and analysis in this post. It’s you, the Askia Users, who keep us growing and improving day by day and you’re the reason we get up in the morning (together with software, our loved ones, and a few other things). Please continue to be an active part of the Askia community and we guarantee we will make it worth your time!